Snowbee Sink It is a clear, unique new formula liquid that is hydrophilic and unlike most dressings actually attracts water. This reduces the normal surface tension created by water resistant materials. When applied to even the lightest of leaders, Snowbee Sink-It will help immerse them and help them become less visible. Ideal for use when dry fly fishing and no need for unsightly fullers earth on your most delicate of presentations. Simply add a thin, even layer of Snowbee Sink It to thoroughly coat the leader before fishing and then clean off any excess with a clean cloth until it's no longer visible. This will have applied an invisible hydrophilic coating which absorbs water in the surface film. 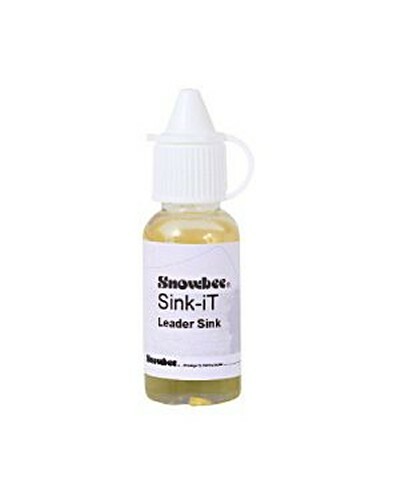 Reapply Snowbee Sink It and regularly to minimise your leader visibility on the water surface.